A Florida Guardianship Lawyer can assist you to be appointed as a Guardian Advocate to represent a person with developmental disabilities. A probate court may appoint a guardian advocate, without an adjudication of incapacity, for a disabled person, if the person lacks the capacity to do some, but not all of the tasks needed to take care of his or her person, property, or estate. A person with developmental disabilities may also voluntarily petition for the appointment of a guardian advocate. 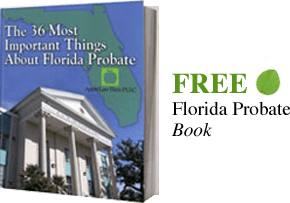 A Florida Guardian Advocate has all the same powers, duties and responsibilities required of a guardian pursuant to Florida Statutes or those defined by court order. The person for whom the guardian advocate has been appointed retains all of his or her legal rights that have not been specifically designated to the guardian advocate. If you think a guardianship may be appropriate or are involved in guardianship proceedings and would like representation to help you understand and deal with this complicated process, CONTACT our Florida Guardianship Lawyers by email or call us at 904-685-1200 to discuss your situation today.